Item # 306331 Stash Points: 3,495 (?) This is the number of points you get in The Zumiez Stash for purchasing this item. Stash points are redeemable for exclusive rewards only available to Zumiez Stash members. To redeem your points check out the rewards catalog on thestash.zumiez.com. 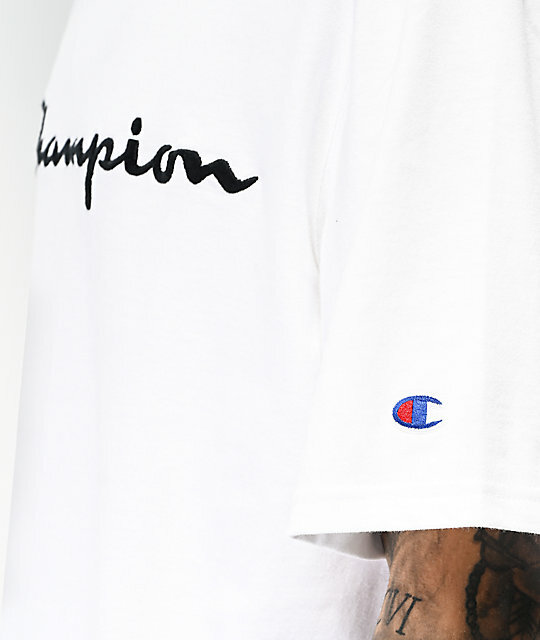 Add a classic athletic style to your closet with the Heritage Embroidered White T-Shirt from Champion. This plain white tee features a 100% cotton construction with a premium feel, while the chest is adorned with an embroidered Champion logo. The left sleeve is finished of with a small Champion "C" logo patch to complete the look. 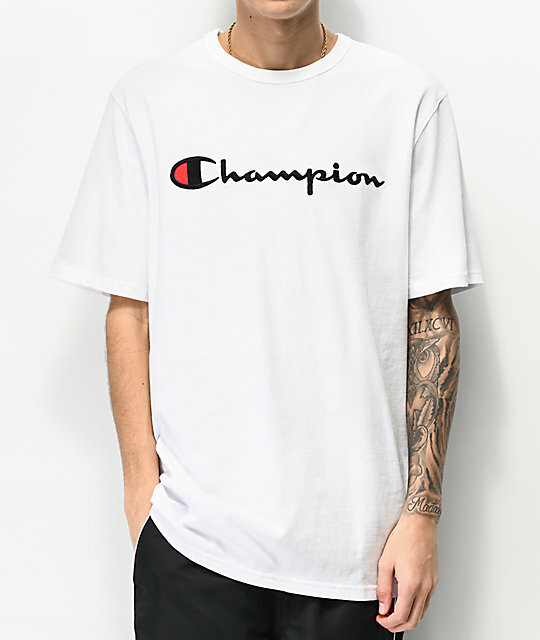 Heritage Embroidered White T-Shirt from Champion. 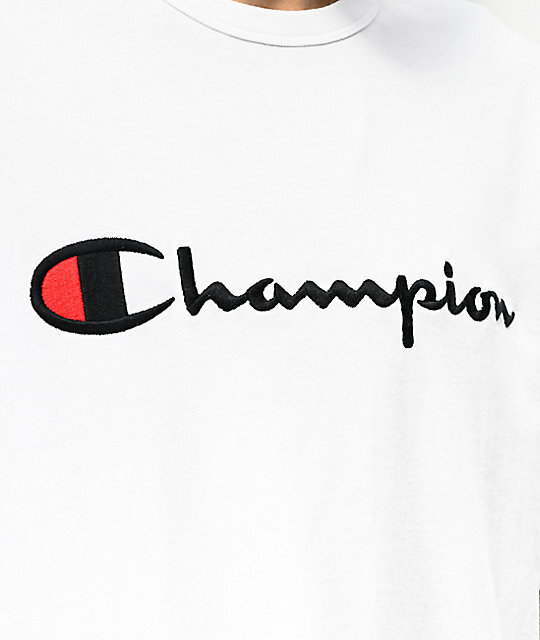 Embroidered Champion logo on the chest in black and red.